What's the Zero of a Function? 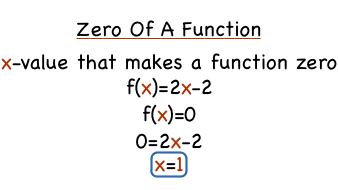 The zero of a function is the x-value that makes the function equal to 0. In this tutorial, you'll learn about the zero of a function and see how to find it in an example. Take a look!